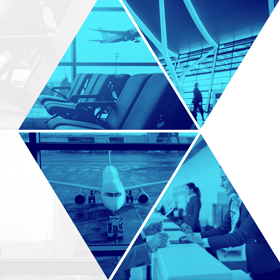 Airport Solutions Dubai is co-located with Cargo Connect. Both events are sponsored by the leading names in their respective industries. 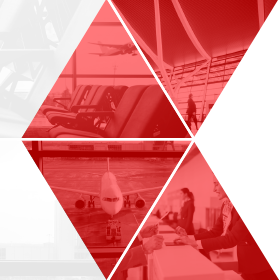 About Honeywell Airports - With more than 100 years’ experience in airport technologies, Honeywell is a trusted provider of intelligent airport solutions worldwide. As a recognized leader, Honeywell creates a first-class experience for passengers by ensuring their safety, security, comfort and convenience throughout their journey; by providing innovative solutions specifically tailored for the effective management and operation of airports. 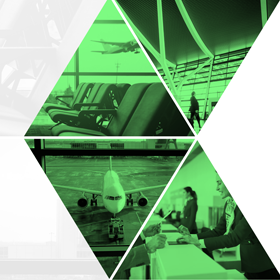 Our intelligent approach to airport integration focuses on the convergence of airside, terminal-side and landside solutions—addressing the tough challenges around safety, security, efficiency and productivity. That’s why more than 500 airports trust Honeywell to take them to new heights. Gaussin Manugistique is an global engineering company, leader of clean technologies for wheeled handling systems and logistics for Ports, Airports, Logistic centers, and Industrial applications. With more than 50 000 vehicles Worldwide, Gaussin provides turnkey and tailor-made cutting edge technologies including, : Flow Simulation studies, automation and energy management, for "faster", "safer"and "cleaner" operations. Established in 1976, Airlink International UAE has become one of the leading providers in Freight, Travel and Supply Chain Management Services locally, regionally and internationally. We provide global consistency in business standards and world class solutions and deliver comprehensive logistics solutions that caters to our customers’ needs. Our Travel service includes corporate and personal ticketing, tours, holidays, global hotel reservations and transportation, while Freight service covers General Freight Forwarding, Exhibition & Event Logistics, Projects & Heavy Lifts, Household & Office Relocations, 3PL & 4PL Warehousing. Airlink remains committed to the Freight & Travel industry and the re-investment in its development. RSA National is a multimodal supply chain solution provider, with ground breaking professional services focusing on flexibility, compliance and speed. The company is a joint venture between tech forward 3rd party logistics provider RSA Global and international boutique freight forwarding and logistic experts National Air Cargo. With fully compliant, world class facilities and leading in-house technology capabilities, RSA National is poised to provide best-in-class contract logistics, cold chain, international freight, transportation, ecommerce, chemical handling and logistics, and on-site logistic solutions to its customers. These solutions serve the air transport, retail, pharmaceutical, perishable industries, defense and many more industries. RSA National’s air cargo terminal is situated in Dubai South between Al Maktoum International Airport and Jebel Ali sea port maximising ease of access to its customers. With approximately 79,000 employees at some 1,300 locations in over 100 countries, the Kuehne + Nagel Group is one of the world’s leading logistics companies. Its strong market position lies in the seafreight, airfreight, contract logistics and overland businesses, with a clear focus on high value-added segments such as IT-based integrated logistics solutions. Turkish Cargo, the cargo subdivision of Turkish Airlines, continues to grow with the new investments parallel to Turkish Airlines‘ progress. Today, Turkish Cargo serves its customers with a network consisting more than 305 destinations in 122 countries. By using Turkish Airlines fleet belly capacity, Turkish Cargo provides its customers with the most efficient connections to the most important production and commercial centers in the world. Today, Turkish Cargo’s dedicated cargo destinations number exceeds 85 with the new service points. Besides its online destinations, Turkish Cargo serves to its customers with more than 2000 Truck destinations and interline connections all over the world. As we all know very well; the cargo services, which are one of the main element for Turkish Airlines growth, will grow parallel to passenger services. While opening your business to the world, Turkish Cargo meets your customized needs with utmost high quality in every step.